A look back at Operation Cast Lead: The five sisters who were killed why sleeping | It's Only Natural To Resist. I made a post on the fourth anniversary of Operation Cast Lead, in my post I named the 352 innocent children who were killed during this Israeli massacre on Gaza. Now, if you look at the list of names you will see that the first five names are those of 4 year old Jawaher Anwar Khalil Ba’lousha, 7 year old Dena Anwar Khalil Ba’lousha, 12 year old Samar Anwar Khalil Ba’lousha, 13 year old Ekram Anwar Khalil Ba’lousha, and 17 year old Tahreer Anwar Khalil Ba’lousha. Just like every other name on this list, these sisters have a terrible and heart wrenching story. At aproximately 10 P.M. on Sunday, December 28th, 2008 electricity was cut off in Jabalia Refugee Camp, located in the north of the Gaza Strip. At the time, the 9 children of the Ba’lousha family and their parents were all at home. The sound of jet aircrafts and drones could be hear flying overhead. Everyone was in a complete state of terror, not knowing what was next. “We could hear explosions and were all terrified. I told my girls to go to sleep to relieve them from the tension” recalls the mother, 35 year old Samira. Samira them went to her bedroom which she shared with her husband, Anwar, one year old son, Mohammad, and 13-day-old baby daughter, Bara’a. The Ba’lousha house was located next door to the Imad Aqel Mosque, in the centre of the densely crowded camp. Several hours later, at around midnight on Monday December 29th 2008, a missile struck the Mosque, destroying it completely and damaging the surrounding houses, many of which had asbestos roofs. A neighbour helped Samira to an ambulance and she was taken to Kamal Edwan Hospital to be treated for her injuries. While she was in hospital Samira was informed that five of her daughters had been killed. She would never again see her 4 year old daughter Jawaher, 7 year old daughter Dena, 12 year old daughter Samar, 13 year old daughter Ekram, or 17 year old daughter Tahreer. Bara’a, Samira and Anwar’s 13 day old daughter, was the only member of the family to escape injury. On December 30th a field worker from DCI-Palestine visited the survivng members of the Ba’lousha family wha had moved in with relatives 200 meters away from their destroyed home. During the visit there was an air raid and an explosion near by in which Anwar looked up toward the sky and started screaming, ‘do you want to kill my remaining children?’ and began weeping. 4 year old Jawaher Anwar Khalil Ba’lousha. 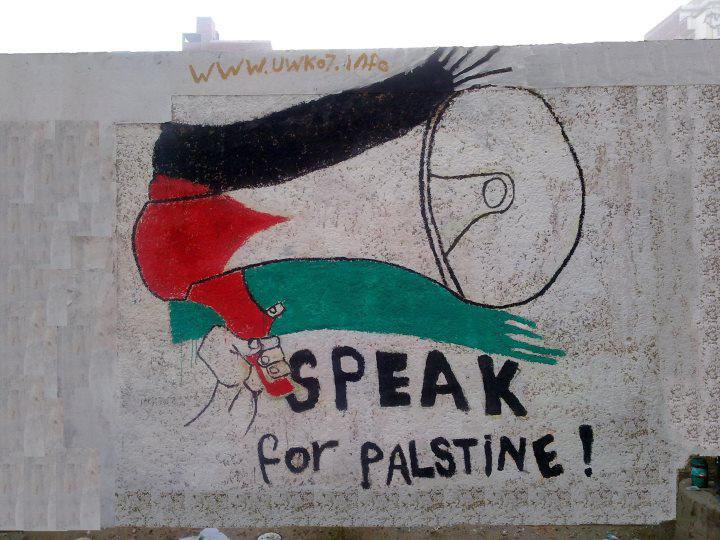 This entry was posted on January 1, 2013 by ispeak4palestine. It was filed under My Posts and was tagged with Children, Gaza, Islam, Israel, Jewish, Judaism, Middle East, Muslim, Operation Cast Lead, Palestine, Peace, Politics, terrorism, War.